Nepal is specially known as a highest mountain in the world & birth place of Lord Buddha. 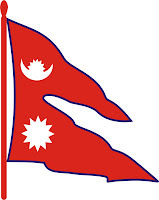 Nepal is Landlocked country in Southern Asia between the Tibet Autonomous Reason of China and India. With an area 147,181 square kilometers and a population of approximately 27 million. Nepal has a rich geography. It contains eight of the world's ten highest peaks including Mount Everest 8848m the highest point on Earth. Nepal is known for it's huge water resource. The range of mountain in Nepal are capture by panoramic snow capped high peaks. Nepal is commonly divided into three physiography areas. Terai (low-lying land) , Hill and Mountain from south to north . There are five climatic zones that correspond to the altitude the tropical zone, cold zone, arctic zone,temperate zone and sub-arctic zone. Nepal is the land of gentle foothills and high peaks, cutural and tradition, ancient temple and monasteries, shady alpine forests and exotic wildlife, natural freshwater lake and thundering rivers. Which make it a major tourist destination. Eight of the 14 eight-thousanders of the world lie in Nepal which are Mt Everest 8848m, Kanchenjunga 8586m, Lhotse 8516m, Makalu 8463m, Cho Oyu 8201m, Dhaulagiri 8167m, Manaslu 8163m, and Annapurna 8091m. Nepal's Protected Areas cover 19.67 % of it's land compared to the global average of 11%, which are nine national park, three wildlife reserves, one heritage reserve, three conservation areas, and 11 buffer zones. Nepal is known as a second most richest country in water resource in the world after Brazil. There are about 6,000 rivers, 3,252 glaciers, 2,315 glacial lakes and 200 lakes.